Now don’t misunderstand, I have absolutely no complaints about the bands actual performance. They rocked pretty hard and put on an amazing live show. In fact one of the things that I already kinda new that was confirmed for me was that Brad Gillis is one of the most underrated guitarists in rock and the dueling guitars between Brad and Joel Hoekstra, who is also phenomenal (more on him later) are amazing! My only problem was how short their set was. Now they covered most of their hits and one track from their amazing new album “Somewhere in California”, but 7 songs and that was the end of it! 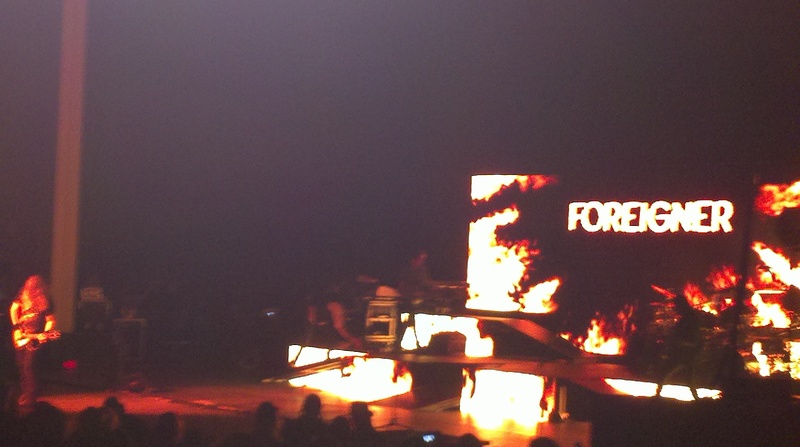 As they were leaving the stage I wanted to scream for them to come back! I really hope they come back to the area by themselves because I wold love to the guys performa full set!! Now these are the guys that I was most curious about. The last time I saw them was in 2000 (Also touring with Journey), and it was one of the worst shows I have ever seen. Lou Gramm was still in the band and it was the height of his vocal problems and to make matters worse the band itself seemed to be out of sync with one another. Now cut ahead 11 years. 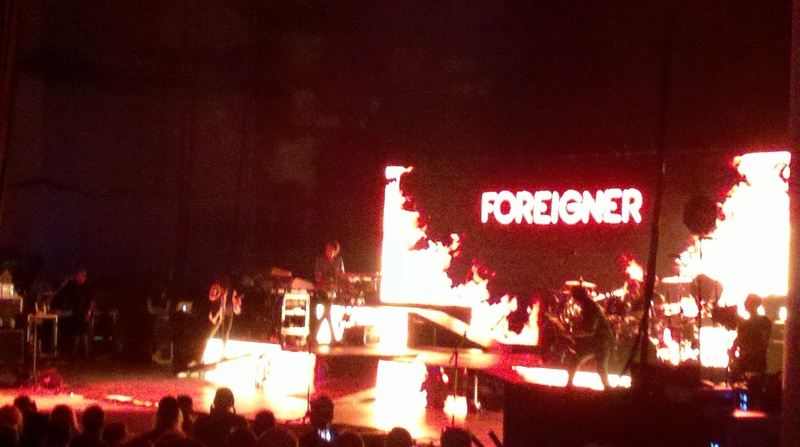 Foreigner is revamped with original member Mick Jones and a bunch of young (or younger) hotshots including new vocalist kelly hansen and ex-Dokken bassist Jeff Pilson. In 2009 this revamped foreigner released an amazing comeback album that was the highlight of the year and to top it off all of the live performances I have seen on video have been outstanding, so I was curious to say the least how this was gonna be! So the time has come! The lights go down and the band takes the stage!! Only curiously Mick Jones (The bands founder and only original member) is absent. In his stead was Night Ranger guitarist Joel Hoekstra! Now I was Nervous as hell as no reason was given, but Kelly said he would be back in a few days. Even now as I search for the problem all that is said is an illness, which has to be very bad for him to miss a show. Anyway back to the show! We have a Foreigner without the leader and only original member Mick Jones, so essentially what we have here is a Foreigner cover band, but fortunately it was a pretty dam good one. There is no doubt that Mick Jones is a great guitarist and a legend, but as I said before Joel is an amazing player and from a technical standpoint may actually be a better player than Mick. I also discovered that Kelly Hansen is one of the greatest frontmen in rock. If you know me or have followed me you know that one thing I can’t stand is sitting down at a rock’n’roll show or people who sit themselves. This bunch was definitely fighting it, but Kelly got them all off their lazy asses and got them to stand up and cheer for most of the show! The band was tight, Kelly’s voice was great! He brings his own flair to the classic Foreigner library and is also one hell of a showman! My only complaint (besides no Mick Jones) was again the briefness of the set. They played about 10 or 11 songs and which left out a bunch of hits and left no room for some new material! Again, great show, just wish it was longer! This was my first experience seeing Arnel perform live with the band and I don’t usually do this but I am about to compare Arnel and Steve Perry for the benefit of all the naysayers! First of all can Arnel be compared to Perry in his prime? No of course he can’t. There is a reason why Steve Perry in nicknamed the voice and it is because he has the greatest voice in rock history. But the question is would you really rather him still be in the band? I’ll answer that for you… NO! He was amazing but due to his age and the fact that the only singing he has done in the last 15 years has been in the shower I would say it is a safe bet that Arnel would handle the material now much better than Perry and in fact…. He handled it in grand fashion!! I knew he would have as he just has an amazing voice in his own right and his energy is incredible! He has more energy than both Steve Perry and Steve Augeri combined! Now on to the actual show… There is a reason why Journey is the greatest band on the planet and it is because the pure talent amassed in Journey is out of this world! 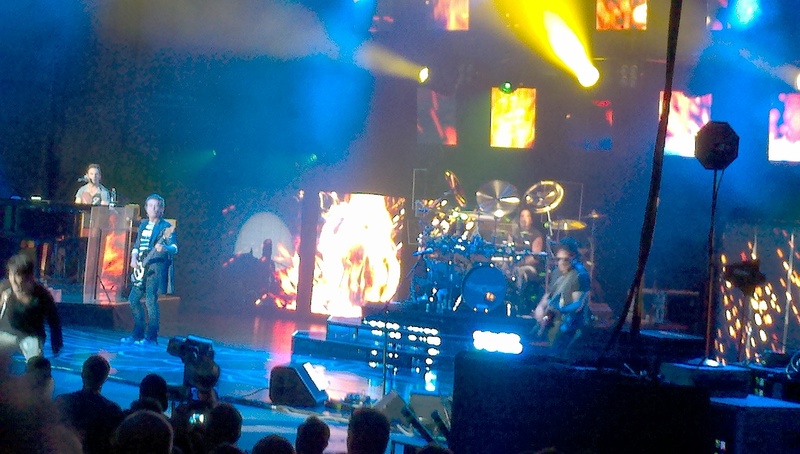 Neal Schon was perfect as usual and I still to this day have never seen another guitarist who can touch him. Every note that comes out of his guitar is a melodic masterpiece! Ross and Dean were holding everything together like they do best and Jonathan was working his own melodic magic! Along with their usual hits they played a couple new songs off their latest album “Eclipse”, but the true gem was LaDoDa! I freaked when Neal went into the opening riff! It’s ok for bands to break away from their greatest hits set and I wish they would do it more. 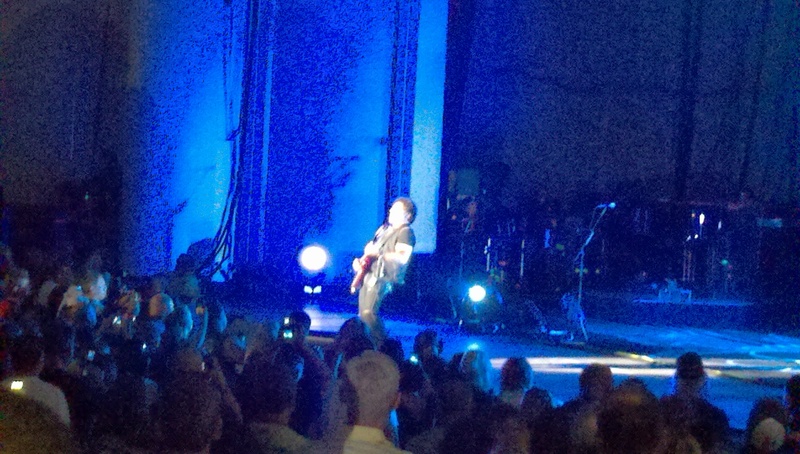 And about that Journey closed out the show with the longest set of about 15 songs, but still about 4 to few! Would have loved them to play a few more non hits in there, but still incredible! See ya next time guys!!! 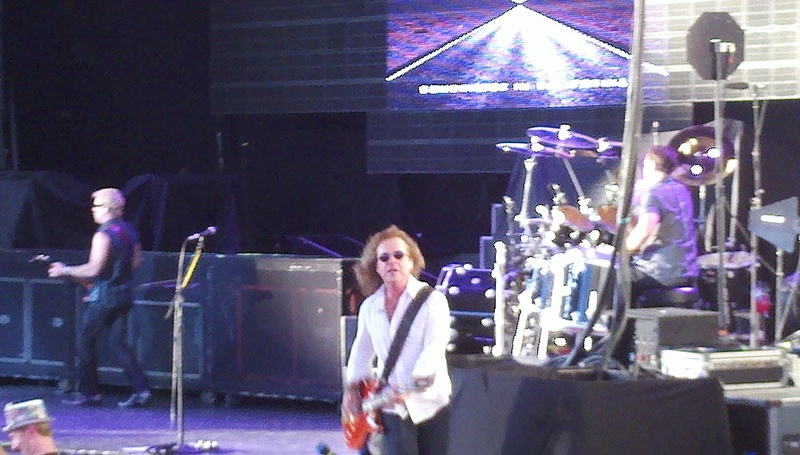 Foreigner was great, fantastic. I have never seen them before but the show was the best. Journey OMG I am a big fan. I have seen them with Steve Perry for is the BEST!!!!!!!!!! Years ago I seen them with Steve Augeri and it was ok but last night Journey was TERRIBLE. 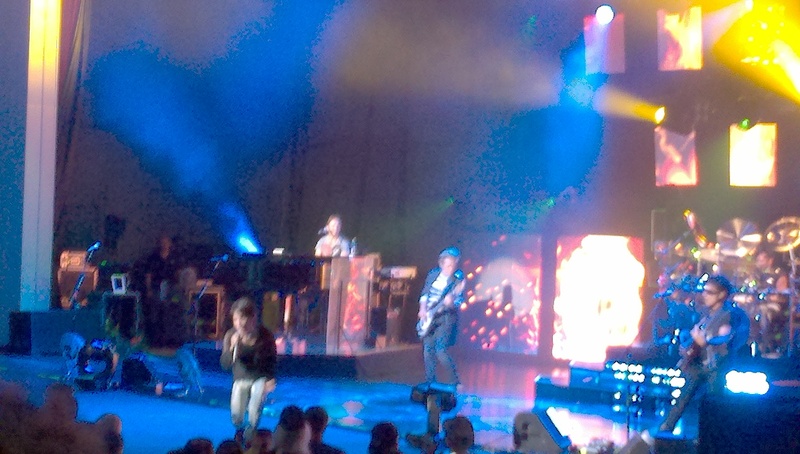 The sounds was so bad you couldnt here Arnel at all and he is so bad, I think its time Journey just to pack it in. I will never go to another Journey show. So disappointed. I have also seen them a couple times with Steve Augeri and they were great and yes the show was better, but I thought the kid did a good job. He has so much energy and really got the crowd going. As far as Steve Perry goes, like I said it is better he is not in the band. He was great! The best all time! But were he still in the band we would have albums being bogged down with ballads and most likely a singer who can’t hit the notes. Eclipse. Was one of their best albums. A classic that rivals Escape and Frontiers and it would never have been accomplished with Perry. 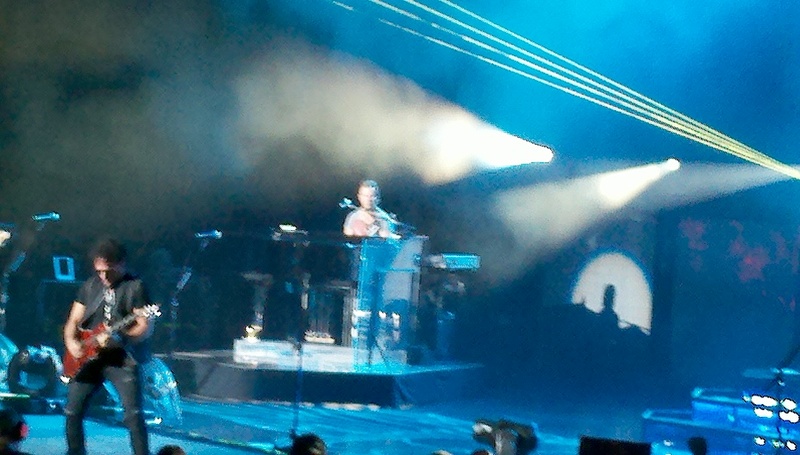 Journey’s show should have been renamed the Scon/Castronova show. The songs tempos were played practically double the speed. It seems they were racing to finish the songs. The sound was not mixed very well. Ross Valory was not heard at all. All that can be heard was Schon and Castronova. I was glad my JOURNEY was ended. Saw the concert Tues 8/30 in at the NY State Fair in Syracuse. 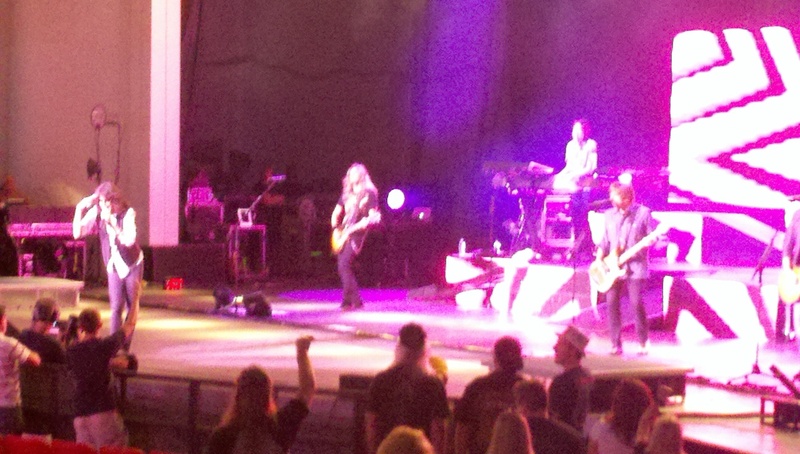 Night Ranger was great. I agree the performances were short because of 3 bands performing. 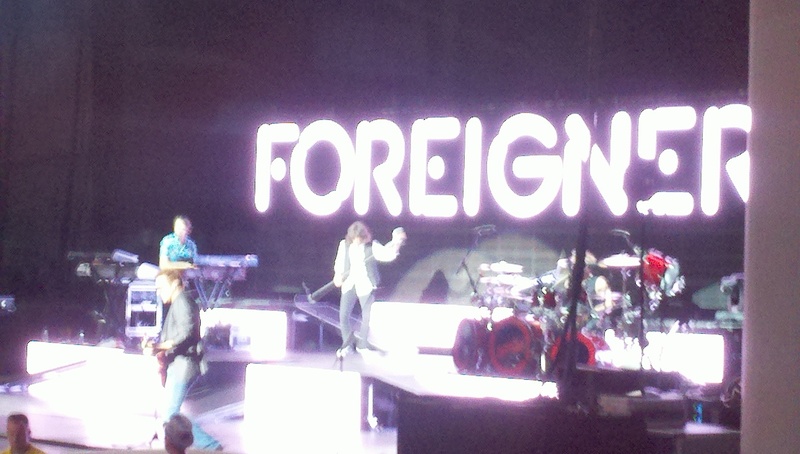 I was leery about seeing Foreigner. 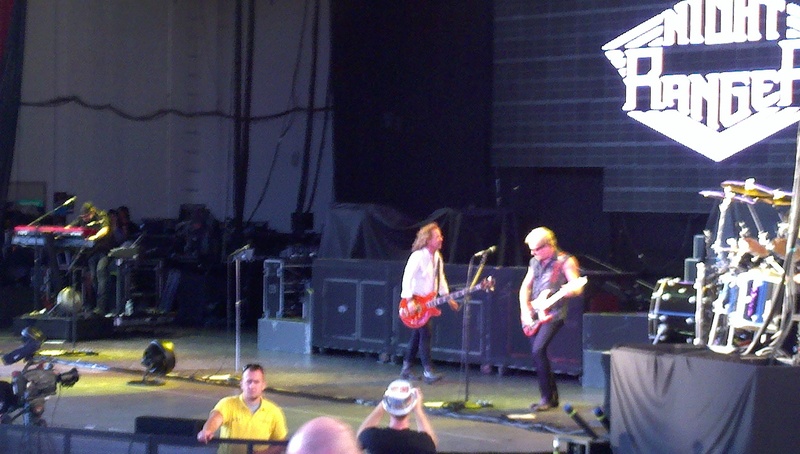 Last we saw them (years ago) Lou Gramm was still with them and I felt embarrased for him. He has (had) amazing talent but in hearing him then you knew it was time to retire. 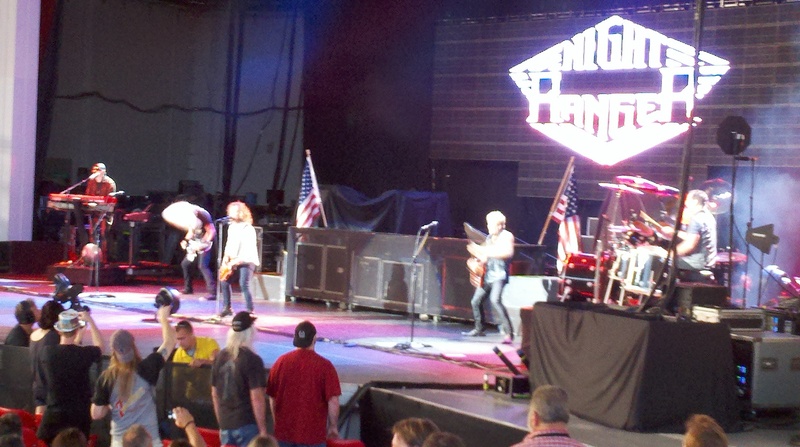 All I can say is that I wish it was just Night Ranger and Foreigner. They ROCKED IT! The entire place was on their feet and going wild! Kelly was AMAZING! Jumped into the crowd…NEVER stopped! His energy was inspiring! The crowd wanted MORE MORE MORE! 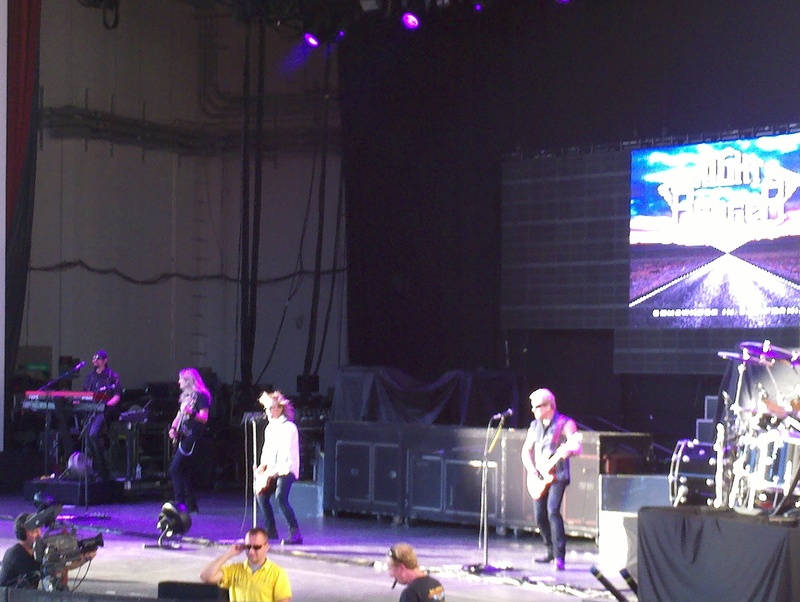 Cut to Journey who came on with Separate Ways and really slowed the whole tempo…get right on slowing it…at one point I looked around and not one person was on their feet…most were playing with their cell phones or watching the celebrity RV’s pulling away from the arena! I am a “child of the 80’s” and I ADORE Journey BUT this was all wrong. Arnel is NOT the look or the sound for Journey. Most of the time you could not even hear him! (maybe for the best?) I was very disappointed to the point we left early! (How SAD is that???) but let me tell you 1/4 of the audience had already left before us! What does that say? It’s NOT the Journey we all know and love.